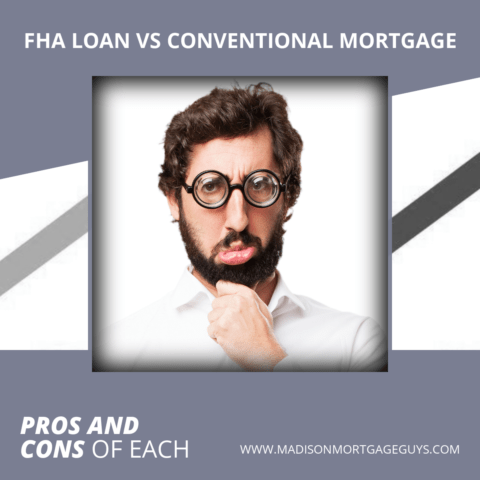 FHA Loan vs Conventional Mortgage: Which Is Better? In the world of mortgages, much like many other things, there are several options for borrowers. When someone wishes to buy an automobile, there are multiple choices to make from new vs used, function vs need and paying cash vs financing. For home buyers, two of the most popular types of home loans are the FHA and conventional mortgages. The following assessment of an FHA loan vs conventional mortgage will allow readers to make the best choice for their needs. People that qualify for a conventional loan typically have higher credit scores. Conversely, people with only average scores, or slightly lower than average, are routinely qualified for an FHA loan. Each lender will have their own rules about which credit score they will accept for both types of loans. Check with your local lender to ask about their credit score minimums for different loans. When refinancing a conventional loan, borrowers go through the same process as if they were buying the home for the first time. Borrowers will need to document their income, have their credit pulled, get a new appraisal of the home and possibly document their home address for the past 2 years. In contrast, an FHA mortgage offers a streamlined option. Borrowers do not have to request a new credit score, income does not always have to be documented and most of the time a new appraisal will not be required. FHA has varying loan limits. The limits vary from state to state and even from county to county within the same state. However, generally speaking, the maximum FHA loan amount is much lower than the maximum conventional loan amount. This is true even in high-cost areas like Hawaii, New York, and California. In order to qualify for an FHA loan, the borrower must intend to live in the home as their primary residence. There are no exceptions to this rule. In addition, the borrower must move into the home within 60 days of signing the documents to purchase the property. For a conventional mortgage, borrowers may use the home as their main residence or as an investment property or as a second home. As long as the person(s) qualify for the loan, there are no restrictions on how the property is used. There are several differences between an FHA loan vs conventional mortgage in the area of down payment. First, FHA only requires a 3.5% down payment. A conventional loan may require a 5% down payment, or it may require as much as 20% down depending on various factors. There are a few down payment assistance programs available throughout the country for qualified borrowers. However, these programs can only be used for an FHA purchase. A conventional mortgage requires the down payment money to come from the borrower’s own funds. 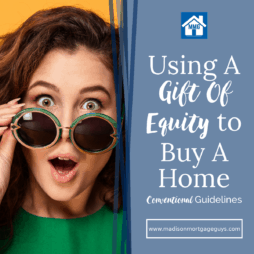 In addition to the down payment assistance programs, FHA will also allow a relative to gift the down payment money to the borrower. A conventional loan will allow only a portion of the down payment to come in the form as a gift. If a borrower finances more than 80% of the home’s value, they will pay monthly mortgage insurance with a conventional mortgage and an FHA loan. However, the FHA loan will require an additional upfront mortgage insurance premium that will not be required by a conventional mortgage. In addition, once the loan balance drops below 80% of the home’s value, the conventional loan will stop charging the monthly mortgage insurance. However, an FHA loan will charge monthly mortgage insurance for the life of the loan. There is one restriction that is exclusive to FHA loans. FHA guidelines state that the program cannot be used to buy a flipped property. A flipped property is real estate bought by an investor for the sole purpose of reselling it in a short amount of time. The current rule states that an FHA loan cannot be used for the purchase of a home if the current owner of the home purchased the property within the last 90 days. Conventional loans do not have this waiting period requirement. There are some basic ways to determine why a person should choose a conventional mortgage over an FHA loan. Here are some quick qualifications to help make a choice. If you meet more than 2 of these conditions, you should really consider using a conventional mortgage for your purchase. For people that plan to pay at least 20% down on a new home, a conventional mortgage is almost always the best choice. FHA now requires mortgage insurance on all of their loans for the duration of the mortgage. People that make a large down payment would simply be paying for mortgage insurance for no reason. As stated at the beginning of the article, this was not intended to prove that one type of loan is better than another. Merely a comparison to indicate why people would use one loan in one situation and another loan in a different situation. Since neither loan is perfect, we need to be alert to some of the drawbacks of using conventional mortgage for a home purchase. Qualifying for a conventional loan is more stringent. 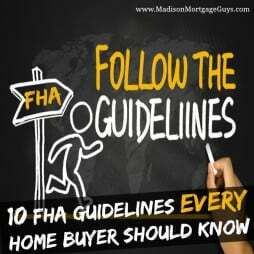 There is a reason why FHA is so popular as a way to buy a home. The ability to qualify for FHA mortgage is much easier than a conventional loan. This is one reason why so many people choose to work with a lender that can offer both an FHA loan and a conventional mortgage. 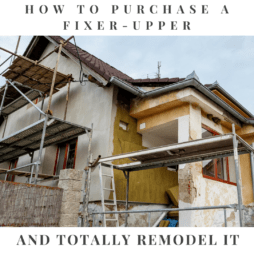 The lender can review the borrower’s credit score and income documents and provide the borrower with their projected payments, and chances of approval, for both loans. There are a few basic ways for a person to decide if an FHA loan is a good option for them. Any person that meets at least one of these requirements should take a serious look at using the FHA loan program for their home purchase. Although there may be a bit more paperwork involved, it will likely be the easiest scenario for homeownership. Just as the conventional mortgage is not perfect in every way, so too the FHA loan has its drawbacks. Going over your specific financial needs and goals with your lender is the best way to determine if the FHA loan is a good fit for you. Both the conventional mortgage and FHA mortgage have helped thousands of borrowers obtain the status of homeownership. There is no right or wrong loan for every borrower. Conducting a self-audit on your finances, and consulting with a reputable lender, should lead you to make the best choice for your needs at that particular point in time. 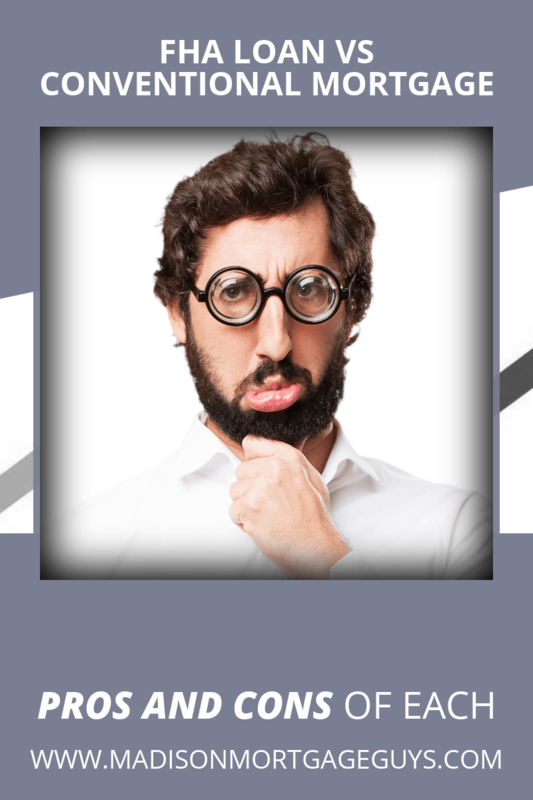 About the author: This article on “FHA Loan vs Conventional Mortgage” was written by Luke Skar of MadisonMortgageGuys.com. As the Social Media Strategist, his role is to provide original content for all of their social media profiles as well as generating new leads from his website. We provide award winning customer service to clients who need to purchase a home or refinance an existing mortgage. Our branch currently serves Wisconsin, Illinois, Minnesota and Florida. On our website you will find state specific mortgage program information for all states including information on VA loans. For example, take a look at our FHA Loan page for Minnesota.